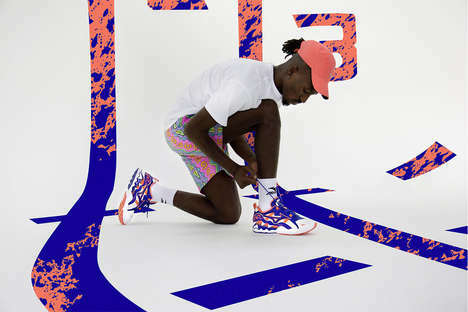 Sneaker label Mizuno introduces the new pack entitled ’90s Athletic’ that boasts design aesthetic that is true to its name. The range is complete with a plethora of bright prints and vibrant colors that are remnant of the 90s and its vivid energy. The sneakers silhouette retain the sporty style, elevating the new iterations through color upgrades. There are three colorway options in total — the selection of black and red, red and blue, or blue and orange. Some notable details include the speckled heel guard that travels down the sides of the sneaker and the wavy accent that is seen across the midsole. Additionally, branding details are featured on the side, the toe cap, and at the tongue tab.